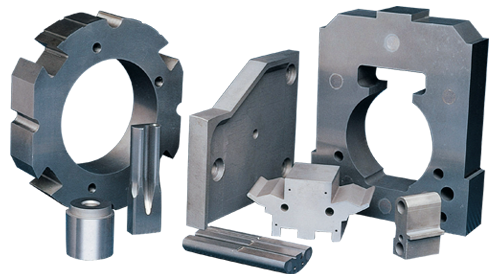 Depending on your particular application, Hydro Carbide has a tungsten carbide die grade to meet your exact needs. From submicron grades which offer exceptional wear through fine and medium grain sizes for heavy-duty applications involving impact, Hydro Carbide materials provide consistent, superior performance. The keys to Hydro Carbide’s products consistent performance are our use of uniform grain size, even cobalt distribution and absence of porosity and voids. Added to this is our production personnel’s attention to manufacturing details, an exceptional quality control system and knowledgeable, experienced manufacturing employees. Die grade materials are just one example of the tungsten carbide compositions produced by Hydro Carbide Tool Company. Whenever wear causes a costly problem in mining, metal stamping, shaping, forming and producing, gas/oil recovery and/or transmission, Hydro Carbide products are the solution.